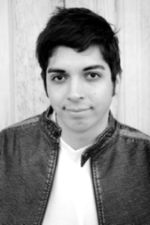 Sign up for Broadjam today to follow André Rodriguez, and be notified when they upload new stuff or update their news! 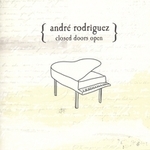 In February of 2005, André released his debut album Closed Doors Open. It is a progressive pop album which provides listeners a "holiday from the ordinary." Filled with sincere and transparent lyrics, Closed Doors Open is a window into André's soul. The record expresses various emotions while sharing true-life stories of love, spirituality, and loss. It is dedicated in memory of André's brother Alex, who passed away at the age of ten from a brain tumor. 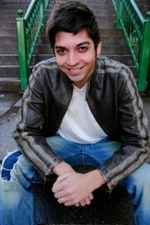 As an artist representative of North Central University from 2002 to 2005, André had the opportunity to perform extensively throughout the Midwest, as well as touring England, Italy, and Sweden. Perhaps the most refreshing aspect of André is his personality. He is a professional, down to earth, and determined musician. Not only will you enjoy his music, but you will also be captivated by his genuine passion for life and artistry. 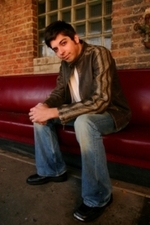 He performs both as a solo act and with a pro-quality band.